It’s that time of year again, where 10,000+ virtualisation professionals and enthusiasts descend on the Fira Gran Via conference centre in Barcelona for VMworld 2016 Europe. forward to the excellent technical content on offer and networking with fellow IT professionals. 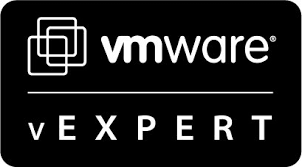 Those familiar with VMworld will know that the session list is published in advance in the Content Catalog, and VMware make it possible to reserve places in sessions using the Schedule Builder. This is a brilliant way to plan your time effectively at the conference. However sessions fill up fast, so those who leave it to chance or the last minute are often left out. As with all VMworlds, there’s a plethora of content available, and choosing is sometimes difficult. This year I have decided to focus on a variety sessions, from NSX to vRealize Automation, PowerCLI to VSAN. If you’re interested, the sessions I have chosen can be downloaded from here. However I would like to call out three sessions I am very much looking forward to, namely EUC7453, INF8430 and MGT8763. End User Computing continues to gain traction with businesses. However as with most things, one-size does not fit all. Companies are looking to take advantage of the latest technological advances whilst simultaneously lowering costs. With a number of enterprises moving to Office 365 (potentially removing the need for Windows), some are considering whether Linux now has a place on the corporate desktop. This session should give some insight into that. In this session Niels Hagoort and Frank Denneman deep-dive into getting the most out of host performance. It covers CPU, memory and storage – how much is enough, and why too much can be detrimental to host and guest performance. This was the third most popular session at VMworld US. Luckily I registered before it filled up. If it hasn’t already, it soon will do! MGT8763 – How SKY Got Their Cloud DevOps Ready Using SDDC, NSX, AWS and Azure! Having watched James Cruickshank‘s excellent session on Sky’s journey with VSAN at the Scottish VMUG earlier this year, I’m interested to understand how they utilise the above components to create a truly hybrid cloud. As well as attending the above and plenty of other sessions, I’ll also be presenting a short talk for the vBrownBag crew on automating SRM with PowerCLI. If you’re at VMworld please grab me and say hi!